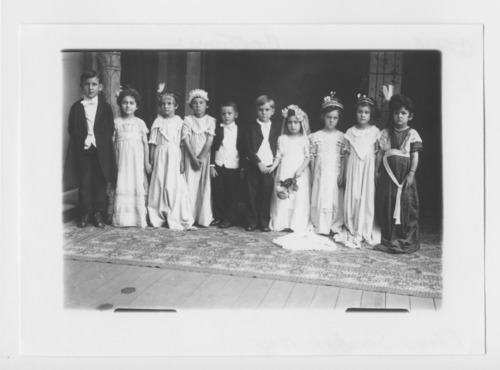 These two black and white photographs show children dressed in formal clothing for a wedding. This form of role playing was referred to as a Tom Thumb wedding. It was a popular past time activity in America in the 1920s. One image shows the full wedding party and one shows the "bride and groom."